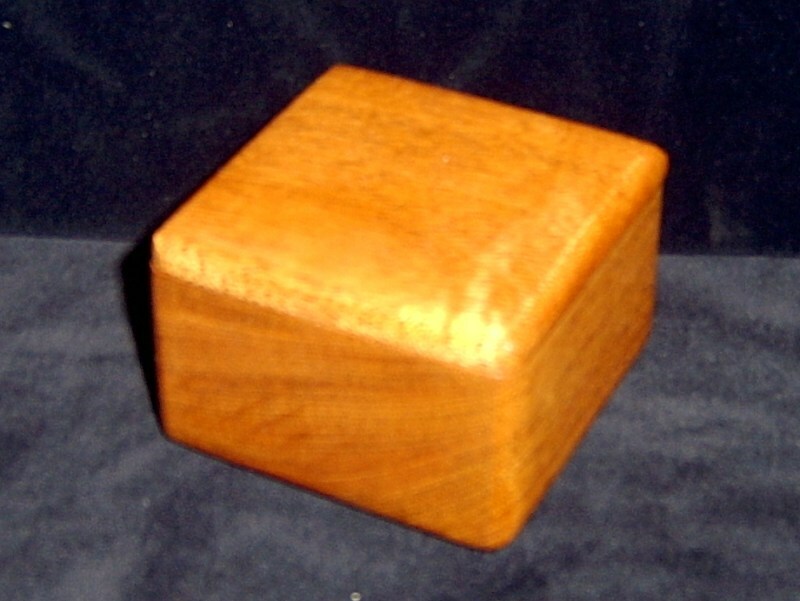 This box is made from Genuine Mahogany. The box was cut from all one piece. The dimensions are approx. 2 3/4 x2 3/4 x 1 /34" tall. It was finished with a drying oil on the inside and outside. The outside is finished with a French polish shelac and the whole thing buffed out with Carnauba wax. 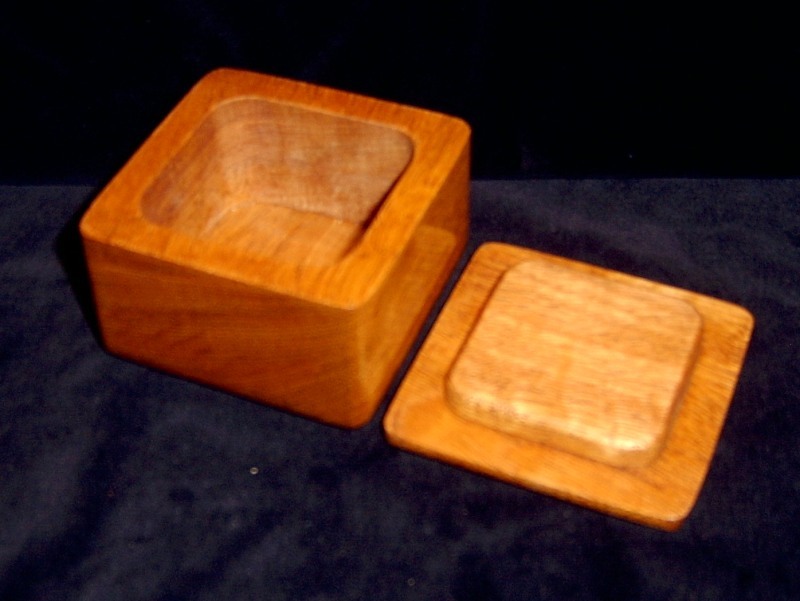 The lid lifts off and is held in place with a lip.